I don’t have a weight loss goal. My goal is good health and as a result of becoming healthier, I have shed 25-30lbs depending on what time of the month it is. There was a time in my life in my teens where I used to be concerned with the number. I weighed more than most people, but I carried it well enough that no one believed me when I told them my size. At some point, I shed that mentality and decided that I wanted to pursue health and just feel good. I let go of the number. I relaxed and got into the habit of reading nutrition labels. Once I relaxed, I stopped gaining weight and eventually lost a few pounds. Before long, life became extremely stressful. Stress can destroy any chances of ever reaching a weight loss or fitness goal, I learned that firsthand. At this stage in my life, I’m the healthiest I’ve been since childhood. Still heavy, but my biceps have a definition that never existed before. I can almost do push-ups. I’m more flexible now than I ever imagined. And I don’t think I would have accomplished any of that if I had just focused on the number on the scale. Once I realized how heavy I was before I decided to take my Fitbit step goals seriously, I felt a bit defeated. Really, it was a picture I saw of myself from a few months earlier at a family reunion that made me feel defeated. It wasn’t only the extra weight that bothered me. I just looked uncomfortable. Everything from my hair to my clothes told the story of how stressed and tired I was. It didn’t matter the fact that I had someone in my life who proclaimed his love for me and told me on a daily basis that he thought I was beautiful. I didn’t feel like that. In retrospect and in a more positive light, I’m glad to know that outside validation isn’t what is required for me to feel good about myself, although compliments are nice. I was finally sick and tired of being sick and tired. So I changed. The changes were relatively quick as far as my cardiovascular fitness was concerned. My resting heart rate dropped (which I learned is a great thing for someone who doesn’t have heart issues) and I became stronger by the day. That scale didn’t change though. It took a couple of months before I saw any weight loss. I don’t have any way to retroactively measure, but I’m pretty certain I’ve lost a fair amount of body fat since I’m able to see some of my muscles now (still can’t see my six-pack yet, sadly). The protein shakes I was/am drinking probably contributed to the lack of weight loss and certainly contributed to the muscle gained. Nutrition is a key player in what your body looks like. The topic of nutrition brings me to the point of my rambling, I still eat cookies, cakes, ice cream, and fast food on a pretty regular basis. Some days are better than others. If I let those things go, I’d probably drop another 25-30lbs fairly quickly. However, with all of the information that is out there—conflicting information most of the time—how do you decide what path is right for you? How do you decide whether keto or paleo or low fat or anything else is what you want or need to do? No matter what you choose, if you want long-term results, you have to be comfortable with maintaining whatever your choice requires. 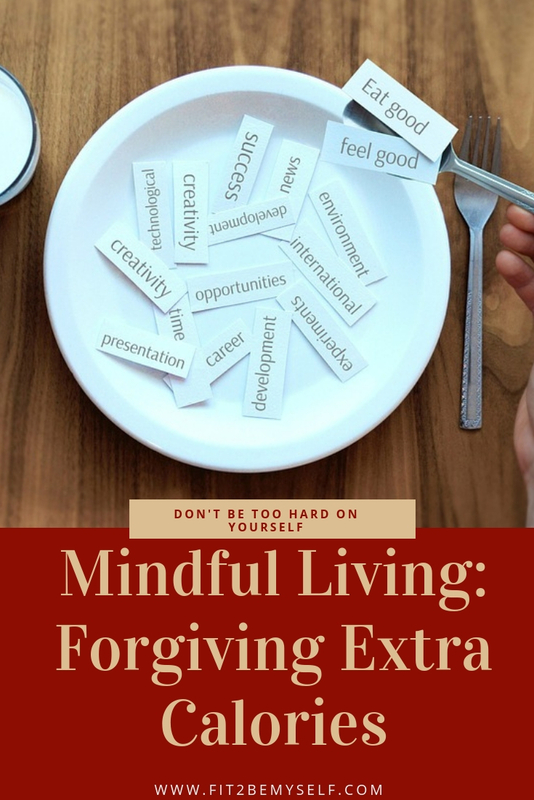 I try to practice more mindful, intuitive eating practices. Not barring myself from eating my favorite desserts, but just not eating them at midnight expecting to feel good the following morning. I try to avoid junk food, for the most part, before I go into an intense workout because it affects my performance and I care more about being able to do the workout than I care about whether I’ll lose weight from it. I eat more salads now that I used to because I physically feel better when I eat salads. Not everyone can mindfully or intuitively eat because everyone is different. Some people never get the memo from their stomach that it is full. Some people don’t always get the memo that their stomachs are empty. Some people don’t care one way or the other and some absolutely need rigid guidelines to follow otherwise they’ll fail. Whatever the case, no one gets it right every single day and unless you are at an extreme (like My 600lb Life or have a case of anorexia) focusing on the number may not be as conducive to you achieving your goal of health or weight loss. I’m a fan of intuition and listening to my body. When I eat too much of the wrong thing, I physically feel it and it doesn’t feel good. When I go longer than about three days without working out, I feel it physically and emotionally. And as I said earlier, I want to feel good as much as I can. I encourage anyone who reads this to just pay attention to themselves. No one knows you better than yourself. I use my Fitbit app and Flo period tracker to keep track of my health. Whatever works for you, do it. And if you can exercise some self-control, a milkshake every now and then won’t be detrimental to you losing weight. Even though my weight loss fluctuates, I won’t feel bad for a slice of good cheesecake. Great post! What I've noticed works best for me is focusing on protein macros and planning my day's meals a day or two ahead, while aiming to stick to the calories my tracker app has laid out for me. Sounds restrictive, but it allows me not only to eat a lot of the foods that I love to eat (perhaps just in smaller portions), but as someone who loves planning like crazy, the planning portion of the ordeal can make me excited to eat even the meals that otherwise wouldn't be my favorite! Thank you for sharing! I have similar issues trying to lose weight as I have had several very rude nurses bring it up. They even went as far as putting "obese" on my "current health conditions" even though I was only considered "overweight" not "obese." Guess it was some scare tactic or they just didn't do their job, I am not sure. So, anytime I actively try, I feel terrible because I get reminded of what those nurses did. It is a shame because health care professionals are supposed to help, not put you down. There is so much pressure on all of us (especially women) to be this particular weight at all times when we really don't have the time or energy for it. Sometimes i really need to hear stuff like this. Thanks for sharing! Yes! I also had a bad relationship with food while in high school and it led to an eating disorder. I'm finding that intuitive eating is taking some training to figure out what's thirst, what's boredom and what's hunger. So far I've felt so much better than following a certain diet. Great post! Keep up the good work!